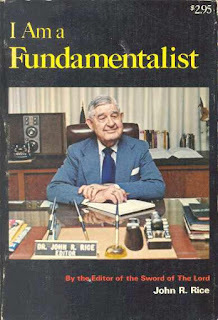 Let's be honest: what do "fundamental" and "fundamentalist Christianity" mean? Fundamental means: "essential, basic, involving all aspects of something." 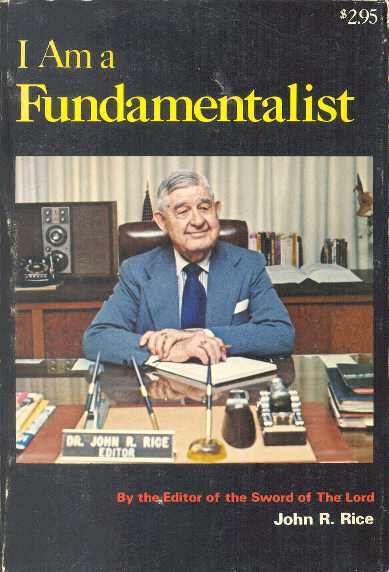 And "fundamentalism," according to the dictionary, is "a movement marked by rigid adherence to basic principles." Let's be honest: fundamentally speaking, Christianity essentially refers to Jesus Christ, who didn't call himself Christ, but let others do so. But, of course, even that info comes from gospels - and nobody knows who the authors of those books were. Basically, without evidence, we can easily conclude that they fabricated everything in them, that they were the Superman/Harry Potter/tabloid writers of their times. No s**t, of more than 30 historians writing at the times that gospel writers claimed Jesus existed, none of them mentioned anything those guys wrote. Lying is a basic principle of Christianity. OMG. Seriously? For real? Yep, for real. Following the Fundamentalist Christian propaganda alone, in their gospels, we have "Jesus," a cult leader who was short-tempered, demanded strident disciplines and sacriﬁces of his followers, and was just another prophet who also proclaimed that the end of the world would be right around the corner; yea, even before some of his listeners died. And as the story goes, because he was such an obnoxious and disruptive agitator, a heretic to his own religion, and pissed off so many authorities, the Romans executed him. If the "fundamental things apply," Christians should be following the "principle, basic, involving all aspects," orders of Jesus, which entail selling all you have and giving the proceeds to the poor, cutting off a body part if it offends you, rejecting your family for him, etc., etc. If you're going to walk the walk of fundamentalism, then put your money where your mouth is, and have a "rigid adherence" to those basic cult disciplines. It's what cult members do. (Honestly. Where are the "Amen!" shouts from the fundamentalists on this?) WTF? In a letter to the editor, one man said that St. Paul, having never met Jesus, nevertheless preached to his audiences what was in the "mind of Christ." That in fact, he created "Christ" in his own imagination. A woman responding to the letter wrote, "Of course; but every Christian creates Christ according to his or her own image of him." So, even if there's no evidence of a historical Jesus Christ, and if St. Paul, the creator of that faith, made up this Christ image on his own, so what? We all do! WTF. Let's be honest: Fundamentally speaking, there is no fundamental Christian faith. Look at the thousands of sects alone. What is known as the "Christian faith" consists of the heresies that survived the opinions of those in church-state power combinations, also known as "truth by votes." Christians should be following the [...] orders of Jesus, which entail selling all you have and giving the proceeds to the poor, cutting off a body part if it offends you, rejecting your family for him, etc., etc. [...] It's what cult members do.Check out "Gnosticism" in the encyclopedia for a real eye-opener. (This subject calls for another article.) The Gnostic teachings were condemned by the early Church as heretical. But without Gnosticism woven into the fabric of Christianity, there wouldn't be Pentecostal churches, or the beliefs Christians swear to as being "in their hearts;" or that possession of such "knowledge" makes them better than the rest of us. Without the Gnostics, St. Paul couldn't claim to "know" the mind of Christ, apologists couldn't claim inside knowledge, nor could the televangelists be able to make their millions in monies. Out of all the conﬂicting opinions (beliefs) the original Christian bishops had to choose from, they picked the ones most favorable for their power. (God always sides with clergy.) And then they issued their choices as "articles of faith," punishing or killing all dissenters to them. And that's what happens whenever state-church forces get the power. That's fundamental. Just a few facts like these are evidence that, in spite of its frequent re-writings and re-hashings, there is no fundamental Christianity, has never been one, and that it is a syncretic mixture from its beginnings, of the very belief systems it condemned as false. A major part of its “tradition" is lying by omitting this evidence. Fundamental? Christian "essential, basic, involving all aspect truths" change from church to church and from mission to mission. WTF!